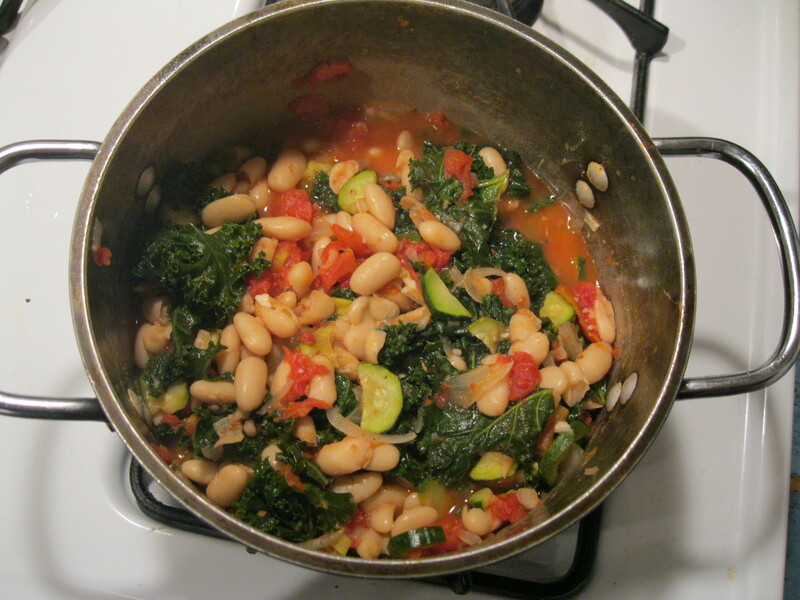 As promised in last week’s Healthy Meal Planning post, here is the White Bean & Kale Ragout recipe that is one of our meal-time staples. You can do it with the sausage or not, with the zucchini or not and I like to serve mine with a sprinkle of parmesan on top. Remember to make extra and pack it for lunch or freeze! 2. Sauté onion and sausage 4 minutes or until sausage is browned. 3. 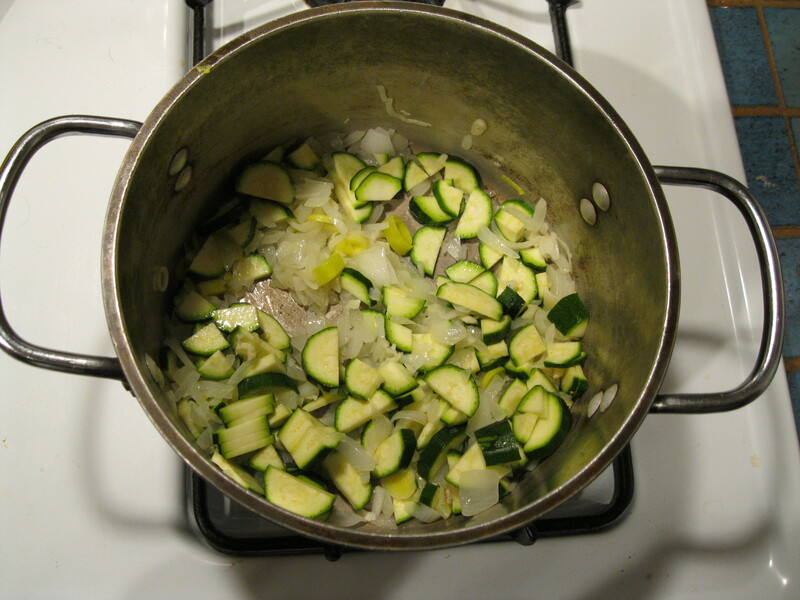 Add zucchini and garlic, cook 2 minutes. 4. Add kale and remaining ingredients; bring to a boil. Cover, reduce heat, and simmer 10 minutes or until thoroughly heated. Serve immediately.